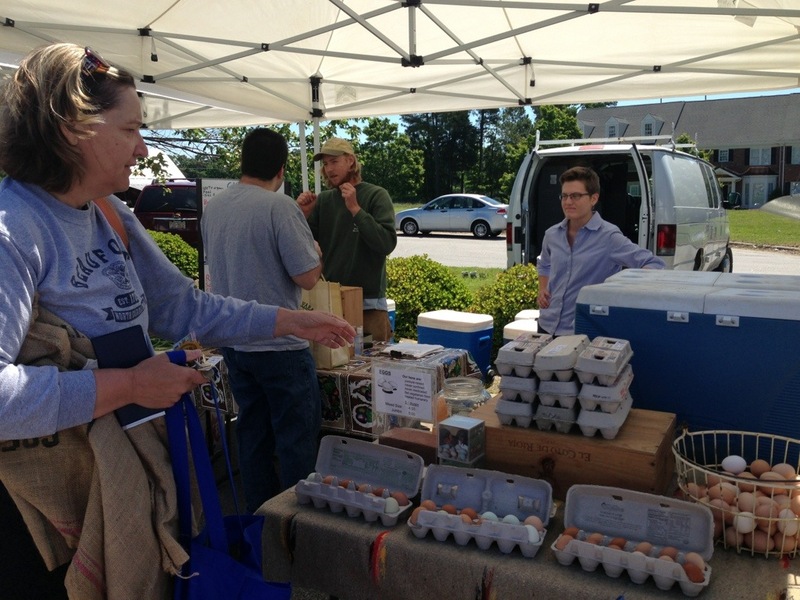 The farmer’s markets are once again bustling with shoppers and bursting with late spring goodies! We are also getting more fresh tuna and fresh shrimp from the NC coast and that is reflected in our budget this week (it’s too good to pass up!). We are over budget by $22.59, but we have been under budget the last two weeks, so I guess it all works out in the end. My budget was helped slightly by a terrific electronic coupon from Locals Seafood, which saved me $5.00! This week’s budget also reflects our need to use up some of the wonderful things we canned last year–jam, pickles, salsa–and some vegetables we froze (field peas, roasted tomato sauce). Since we don’t count our “stock up” expenses in our weekly budget, we figure a “per container” rate and pay ourselves back when we use them. What is on your menu this week? Are you finding new foods at the market? We are so glad to see sugar snap peas again! Have a healthy and happy week ahead! Your menu sounds great. I miss the fresh seafood from the coast. We used to live north of Wilmington and would travel to the coast to get seafood straight from the boats. What fun! It is a wonderful luxury! Locals Seafood buys from Wanchese and brings it to us fresh every week. We love them! I need TUNA STEAKS!!!! Where can I get them here?!!! Also– pulled pork sandwiches: save me one. No 😦 Nothing in Loserville here. Wah.